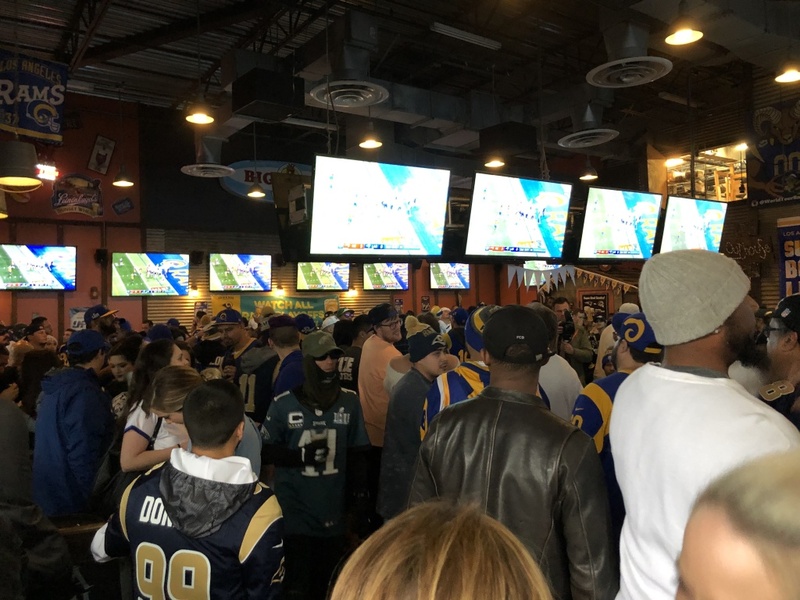 Fans gather in a North Hollywood Rams bar for the Super Bowl. The air is a little heavier after last night's Super Bowl loss. But even those filing out of the go-to bar for Rams fans say they were happy just to see their team back in L.A. and fighting for he championship.